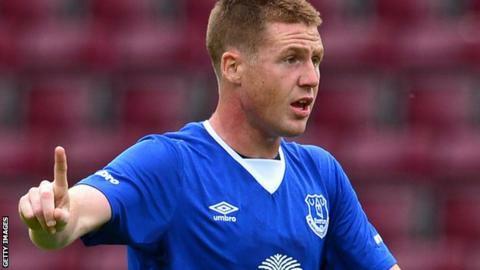 Midfielder James McCarthy has ended speculation over his future by signing a new five-year contract with Everton. The new deal for the 24-year-old, who joined almost two years ago from Wigan, runs until June 2020. The Republic of Ireland international has made 76 first-team appearances for the Toffees, scoring three goals. "I'm buzzing and delighted to be committing my future long-term," said McCarthy, who had been linked with Tottenham and Manchester City. "This is a brilliant club with a brilliant fan base and what we want to try to do is bring some success here and push forward. "The gaffer is trying to build a team and a squad for the long term - I'm excited to be a part of that and to be a part of this team."